Only a few days ago the boot in Dusseldorf finished and now the final result of the probably biggest boat fair of her kind in the world are on the table. Bavaria enjoyed a staggering result with 102 customers deciding at the exhibition to buy a Bavaria sailing yacht or motorboat. This is not only a new show sales record for Bavaria itself, but also among 1,600 exhibitors at the boat Dusseldorf from the 18th to the 26th of January, this result might be one of the largest experienced at shows. Bavaria continues with its successful strategy and can develop and extend its market share in the difficult markets around Europe still further. All yachts should be still delivered during this season which not only secures jobs in Giebelstadt but allows for further recruitment in the future. With Bavaria the signs are clearly pointing towards growth. In spite of a still difficult market situation in many countries of Europe the German shipyard continuously increases its market shares. The order book keeps filling up and now it requires more staff to supply and to enhance further markets. An ideal chance for the start of a career in the yacht construction sector. The list of opportunities on the Bavaria Yachtbau GmbH web page becomes almost daily longer. Not only does the production team seek to expand, the sales and the management teams want to, and must prepare for the new challenges ahead for an expanding market. China, Brazil, North America and Europe are all developing, the Sales team searches for a new Sales Manager for Northern Europe to be able to look after dealers and customers in the growing worldwide markets. More yachts, more work is the simple formula for the production of motor and sailing yachts in Giebelstadt next year. On the 200,000 square metre site and in 70,000 square metres of the production halls, traditional boatbuilding crafts combine with the most modern industrial manufacturing of yachts. “Made in Germany” and “Quality” are the biggest assets at Bavaria since 1978. Now certified skilled workers are searched for in skills ranging from engine installation up to the trainee in the area of Industrial Design. Young school graduates who are interested in boatbuilding are to be found and warmly invited in to the training program at BAVARIA. Bavaria Yachtbau GmbH students will find ideal conditions for learning key skills, for example, in the marketing department. Benetti, part of the Azimut Benetti Group, is undertaking some important actions on the North and Central America markets appointing as new agents IBI - for Dominican Republic, Puerto Rico and Haiti - and Evermarine for Panama. Fabrizio Scerchi Benetti Country Manager Americas along with Tommaso Bilotta as Brand Manager Benetti Americas - have the tasks of managing processes as a whole: marketing, customer satisfaction and dealership networking. In addition - along with Fraser Yachts, Benetti has the pleasure to announce the sale of the Vision 45m Hull No 19 (BV019), a displacement vessel part of Class range, for delivery in June 2014. It is the latest construction of the very successful Benetti Vision model. Her beautiful interior has been designed by Zuretti Interiors Design. CRN, part of the Ferretti Group and specialising in the construction of fully-customized displacement megayachts, made of steel and aluminium, ranging from 40 and 90 metres, with its flagship M/Y Chopi Chopi 80m, participated in and won an award at the “Showboats Design Awards 2014”, organized by the editorial group Boat International Media. Against the splendid backdrop of the Swarovski Crystal Worlds by Kiztbuel in Austria, on the evening of the 24th February, during an exclusive two day event dedicated to world excellence in international nautical design, M/Y Chopi Chopi was awarded a prize in the category “Interior Design Award” for the over 60 metres megayacht sector. The award was received by Lamberto Tacoli, Chairman and CEO of CRN, and the architect Laura Sessa, the interior designer of Chopi Chopi, in front of an international audience of Owners, designers and experts from the boating industry. Two weeks after the signing of the Letter of Intent for the construction of a 68 metres, the biggest megayacht ever sold in the Chinese market, CRN has signed two new LOI for the construction of two 44 metres megayachts, destined for the Middle-Eastern and European markets respectively. CRN, part of the Ferretti Group and specializing in the construction of fully-customized displacement megayachts, made of steel and aluminum, ranging from 40 and 90 metres, shows its vitality once again only a few months after the 50th anniversary of the shipyard, which was celebrated in 2013. For these two vessels CRN harks back to the great tradition and history of the brand, taking inspiration from SuperConero, the historic line of the seventies, in a project presented for the first time at the Monaco Yacht Show 2013. The project SuperConero 44 mt, a displacement megayacht with bulb, made of steel and aluminium, 44 metres long and 8.60 wide, within 500 GT, designed by Zuccon International Project and whose project design was developed by CRN Engineering, begins its concrete realization today for the first time with the signing of the two LOI. 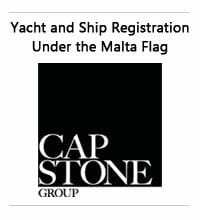 Tom George Yacht Group announces they have formed a new strategic alliance and partnership with Hatteras/CABO Yachts. TGYG will be an authorized sales and service center on the West Coast of Florida for Hatteras and Cabo Yachts, ranging from 36 to 100 feet. TGYG is a Boutique Brokerage firm located at beautiful Marker One Marina in Dunedin, Florida, one of the largest marinas on Florida’s west coast. Marker One has 144 wet slips, over 250 high and dry slips, 24 hour fuel availability and is a full service marina located just inside Hurricane Pass on the Gulf of Mexico, the billfish capital of the world. Tom George has sold the Hatteras brand for over 16 years. He previously was named Top Salesman of the Year, Distinguished Salesman of the Year for 11 years straight and was presented with the Top Gun award. Tom has built many custom Hatteras Yachts and is an authority when it comes to new builds, new designs and assisting clients with purchasing and/or selling Motor Yacht and Sportfish Yachts of all brands. Tom has also been successful in custom building and reselling the 100MY Hatteras as well as numerous Sportfish from 50 to 86 feet throughout the years. Most recently, TGYG has sold three of the new design 60MY Hatteras in the open market to past clients and is one of the most active Hatteras brokerage facilities in the world today specializing in new and pre-owned. TGYG has worldwide representation with some of the finest yachts on the water and relationships with all-American companies built with USA pride. TGYG represents Hatteras Yachts 50 to 100 feet, CABO Yachts 36 to 52 feet, Cobalt Boats 20 to 40 feet and Christensen Mega Yachts 120 to 200 feet. Heesen Yachts is pleased to announce the appointment of two new managers to their Sales and Marketing team. Mark Cavendish, Heesen’s Sales and Marketing Director will now be assisted by Robert Drontmann in Sales, while Marcel op het Broek will support him in Marketing. Robert boasts an impressive twenty years’ experience in the yachting industry, while Marcel has spent fifteen years as a Marketing Manager in the luxury field. Robert Drontmann comments that before starting his professional career as a licensed Yacht Broker he spent most of his childhood racing sailboats and represented the Netherlands at the 88 Olympics. In his new role he will give all the brokers worldwide full support to boost Sales and always wave the Dutch Flag to emphasize Heesen's heritage! 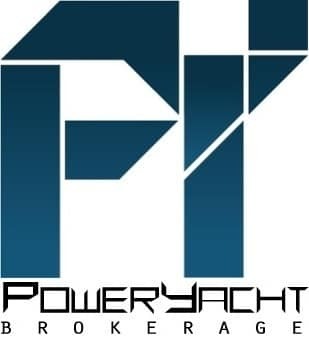 The Hinckley Company, a globally renowned boat builder and yacht service provider, will recommend powertrain supplier FPT Industrial as its preferred partner for repowering Hinckley powerboats. The new initiative will be debuted at the Miami Boat Show, Sea Isle Marina venue, on 13-17 February 2014. The yacht will be located in slip 417 and is available by appointment for sea trial. Both Hinckley and innovative engine manufacturer FPT Industrial are committed to providing the latest technological solutions of the highest quality. It’s this synergy that has led to FPT Industrial’s FPT N67 570 being the engine of choice as part of Hinckley’s refit service. 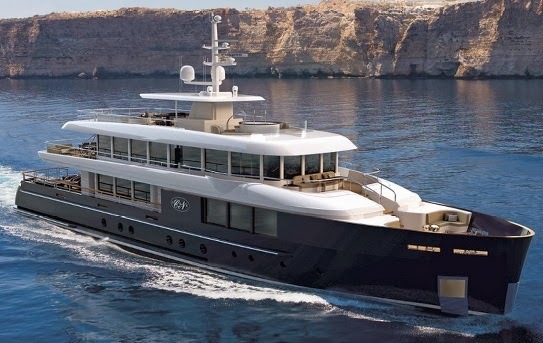 In addition, FPT Industrial has also been selected by Hinckley to provide engines as a higher horsepower option for its latest offering, the Talaria 43, a new express yacht for 2014. FPT Industrial’s N67 570 is a leader in its category, offering excellent weight/power ratios (1.14kg/hp), power/displacement ratios (84.4 hp/litre) and volume/power ratios (1.31 dm3/hp). Developed to meet Tier 3 emission regulations in the U.S. market, the engine features: six cylinders with a displacement of 6.7 litres; distribution through four valves per cylinder; second generation, electronically-controlled Common Rail; turbocharger, a waste gate and intercooler. The monoblock and the ‘ladder frame’ (structural strengthening) have proven their reliability in the many speed and durability contests in which this engine has successfully participated. In addition to excellent speed and performance, the FPT N67 570 allows navigation with low fuel consumption, low noise and low emissions, which complements the class and sophistication of the Hinckley products. Hinckley’s east coast service yards offer FPT refits across a wide range of models by manufacturers other than Hinckley as well. 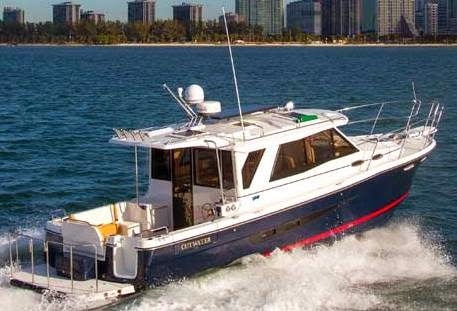 The Hinckley Talaria 44 MKII, which will be displayed at Miami, has been refitted with two 570 hp FPT N67 570 engines. It is a 13.4-metre lobster-style yacht with a flying-bridge. It’s built with the Seemann Composites Resin Infusion Moulding Process (SCRIMP) vacuum method, using vinyl ester resins and ‘E’ glass fibres, has a cruising speed of 29 knots and a maximum speed of 34 knots. Ed Roberts Director of Sales and Marketing refers, Hodgdon Yachts is proud to share the limelight with winner Andrew Winch Designs in receiving the coveted Showboats Design Award for the best Limo Tender. In addition: “the winning tender emulates the design of the mothership M/Y Sea Owl also designed by Andrew Winch Designs of London. In the case of the tenders for Sea Owl, the naval architecture and engineering was by Hodgdon's own in-house engineering team”. The boat was specially engineered and constructed using infused epoxy carbon fibre construction to meet the client's demanding weight requirements. The limousine tender features the exceptional craftsmanship and sophisticated systems engineering that Hodgdon is so well known for. Outside, a defining characteristic of the AWD design is a compound curve teak clad transom exceptionally executed. Inside, the full wood raised panel teak joinery interior features separate lavatory and wash basin lockers with luxury leather seating for up to 8 guests. Systems highlights include NEMA 2000 systems integrated iPad in the salon, electrically retracting glass moon roof, electrically retracting glass aft bulkhead, hydraulically lifting roof, lithium ion smart battery system and more. This is a limo tender many of the ShowBoats Award judges said they would like to own as it makes a lovely day boat as well with air conditioning, heating and an enclosed stand-up head, but unlike a Venetian water taxi, it features an open stern deck for easier boarding. Fledgling, as she is named, is a perfect complement stylistically to her mothership, Sea Owl, and features the same level of finish detail and joinery style as the Feadship she serves. Just as Sea Owl is a fantasy, this tender would seem so as well as its half glass roof can slide away to create an indoor/outdoor atmosphere or the roof can lift vertically to provide an open air option. The charging and docking stations for phones and iPods are a nice touch, as is the 40-knots top speed. Luxury cruiser manufacturer Maritimo says its results at the recent Fort Lauderdale International Boat Show indicate a renewed level of consumer confidence in the America's with the company securing record sales. Mr Haines, who attended the show along with company founder, Bill Barry-Cotter, said the purchasers came from across the Americas including north-east USA and Venezuela. Mr Haines said as part of the boat show Maritimo held a dealer conference with its network of existing dealers and also appointed a new dealership, Team Marine, in Caracas Venezuela. 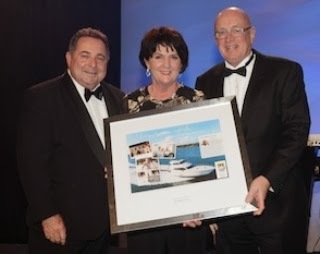 Australian boating industry icon, Bill Barry-Cotter, has received yet another business industry gong. On Saturday night at the Gold Coast Business Excellence Awards Barry-Cotter was inducted into the Business Person Hall of Fame. Almost 700 people attended the awards ceremony. 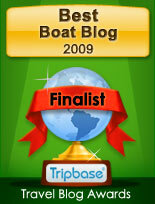 The award follows the Boating Industry of Australia Hall of Fame award he received in 2012. A marine industry business executive whose career spans more than 20 years has joined luxury cruiser manufacturer Maritimo as General Manager Operations. For Phil Candler the move to Maritimo sees him re-join his former boss of more than 15 years, Bill Barry-Cotter, founder of the Maritimo Company. Candler worked for Barry-Cotter at Riviera before moving on to the MTU Detroit Diesel shortly after Barry-Cotter sold out of the Riviera business. Maritimo CEO, Garth Corbitt, said the company was delighted to welcome Phil Candler aboard. Candler said since 2009 he has been responsible for all after sales and group operations nationally for MTU. After 60 years of experience in powerboating, Otam is proud to announce that Denison Yacht Sales will be their representative in the United States. Antonio Caviglia, Otam's new Sales and Marketing Director, commented that North America has the highest concentration of ultra-high-net-worth-individuals in the world, about 70,000, not to mention the world’s biggest boating market. It is natural then, given both the recent economic upturn and market expansion involving Central and South America, that Otam must be well represented here. 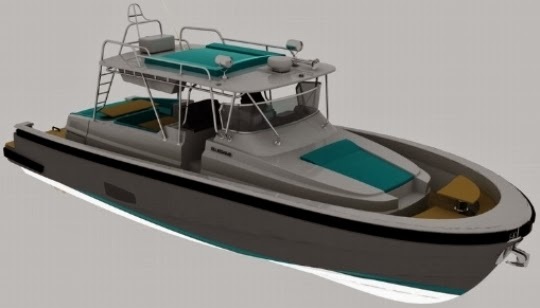 Otam products will certainly be appreciated by owners looking for high performance sport boats, with the additional value for a reputation dedicated to reliability and comfort, allowing longer passages at sea, commuting between the Bahamas and Miami, for example. The whole package is custom wrapped in the Otam style of unfailingly elegant and sporty lines Yacht Couture. Pursuit Boats’ display during the Miami International Boat Show featured Offshore, Sport Coupe, Center Console, Dual Console and Sport Tender models from 26 to 38 feet in length. The eight model display, represented by Pursuit’s top dealers worldwide, was immensely popular for the crowds visiting the Miami International Boat Show. So much so, that Pursuit exceeded its 2013 sales results by more than 30%. The most encouraging sign of the growth in sales was that the increase was felt across the entire product line, from 23 to 38 feet, resulting in sales of some models not even displayed during the show. Pursuit introduced the Patent Pending SC 365i during the Miami International Boat Show in 2013. Customers aspiring to own one will likely wait at least six months unless their dealer has one in stock. Pursuit teased the market with a new DC 325 set to debut in April of 2014 and based on the response to the Boating Best of Dual Consoles DC 265, the 325 will be a successful big sister. The DC 265 also just added twin Yamaha power options to her specification sheet and has felt a resurgence in retail sales especially during the boat show. Riviera, Australia’s favourite and most awarded luxury boat builder has joined forces with the Gold Coast’s Helensvale State High School to rekindle the school-based apprentice program, which welcomed 11 new apprentices this month. Riviera and Helensvale State High School forged a strong partnership in 1997 when Riviera first began the school-based apprentice program. This multi-award winning training program has produced hundreds of highly skilled tradesmen with nationally recognized qualifications, many of whom have had the opportunity to travel and work overseas with Riviera. In 2014, Riviera is proud to relaunch its school-based apprentice program and commence training its future master craftsmen. Apprenticeship project mentor Tony Vaughan said the first year apprentices would undertake practical on-the-job training in all aspects, including boat building, lamination, upholstery, electrical and engineering. Boat building apprentice Mitchell Clarke, 16, said he had always been fascinated with boats and was pleased to have the opportunity to learn how to build Riviera’s luxury boats. Jarad Walker, 16, is also studying boat building and he said he enjoyed learning about the different stages of construction and how the boats were assembled. Helensvale State High School principal Mark Blackshaw said they were extremely excited to hear that Riviera had decided to re-launch its school-based apprentice program. Riviera’s CEO Wes Moxey began his career as a boat building apprentice and joined Riviera in 1982 as a shipwright, just two years after the company was founded in 1980, so he is extremely passionate about Riviera’s school-based apprentice program. Riviera will commence enrolments for the 2015 school-based apprentice program later in the year. Riviera, Australia’s favourite and most awarded luxury boat builder has made a positive start to the New Year, recruiting 30 new team members across all aspects of the business to meet the company’s growing global demand for luxury boats. With a forward order bank reaching well through 2014, an array of upcoming international boat shows, a very active new model development plan and the upcoming world premiere of several exciting new models this year, Riviera is in a very strong position heading into 2014. Riviera’s chairman and owner Rodney Longhurst said Riviera began a recruitment drive in late 2013 as the demand for the company’s Australian designed and built luxury cruisers increased. Riviera’s new team includes boat builders, production managers, aftermarket and service technicians, school-based apprentices, logistics, marketing professionals and finance experts. Storebro announce the future cooperation between Gillholms Marina AB and Storebro Boats AB. Storebro Boats AB will take over the production of Nord West and Gillholms Marina will have the exclusive rights of the continued sale of Nord West powerboats. The 12th of January 2014, Storebro Boats AB acquired the powerboat brand Nord West. Storebro Boats AB has for about 70 years cared for and developed the Scandinavian boat building industry and still, they manage the heritage with warmth and pride. Similar to Nord West, the genuine craftsmanship runs like a thread through all model generations. The Nord West production will move from Orust to the facilities of Storebro in Småland and the laminating facility in Lysekil is working in full speed. Storebro Boats AB will produce the whole range of Nord West models, and Gillholms Marina AB will provide spare parts until further notice. Tiara Yachts’ most recent move to the Miami Beach Yacht and Brokerage Show delivered solid sales across their diverse model line and built on the excitement of the all new Coupe series of luxury yachts. Tiara Yachts represented all product series with its 10 models on display ranging in length from 31 to 58 feet, including Coronet, Open, Sovran, Convertible and the all-new 50 Coupe. Tiara also took the opportunity to tease the market with a preview of the new 44 Coupe, resulting in a confirmed sale during the show for the new model which has yet to be built. A total of 16 Tiara Yachts Factory Authorized dealers from the West Coast, Caribbean, Midwest, Northeast and Southeast manned the display along with several key International dealers. The Tiara dealers were unanimous in opinion that the move to Collins Avenue was a strategic decision and created a more conducive venue for displaying and selling new Tiara Yachts. The show attendance was down overall in sheer number of visitors due to travel disruptions caused by the winter storms, but the quality buyer was ever-present and very interested in the Tiara offerings. 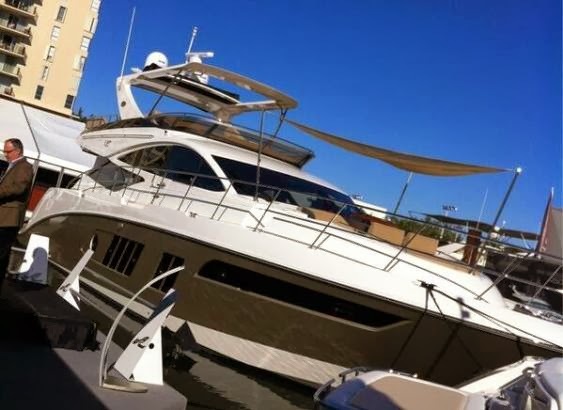 A hot fleet of new Vikings certainly did its part to counter the frigid February temperatures endured at the Viking plant this month, as indicated by the contagious enthusiasm the New Jersey builder saw in its 16 boat display at the recently concluded Miami Yacht and Brokerage Show. Between February 13 and President's Day February 17, nearly 5,000 guests registered to see the world's most exciting collection of luxurious, high-performance convertible sportfishing yachts from 42 to 92 feet. By the end of the first day, four Vikings were sold and the momentum continued throughout the show as the company sealed contracts on 12 boats, including two 82 Convertibles, a 76 Convertible, two 70 Convertibles, three 62 Convertibles, a 50 Convertible, two 42 Convertibles, and a 42 Open. The month's activity actually began earlier with a 62 Convertible and a 76 Convertible sold during the Viking VIP Boat Show Preview at the Viking Yacht Service Center in Riviera Beach, Florida. Another 70 Convertible sold immediately after the Miami Show and several other deals are in progress. As Viking 50th Anniversary approaches on April 1, 2014, more milestones are in the offing as the 50th pair of Cummins QSC 600hp diesels and Zeus pod-drives await installation into this Viking 42 ST (Sport Tower) at our New Gretna, New Jersey facility. With this matched pair going into 42242, the numbers are impressive: 50 boats, 100 engines, 100 Zeus pod-drives and 200 counter-rotating propellers! In The Bite the sportfishing magazine for the professional has announced two Viking skippers are among the nominees for this year's award, the winner to be chosen by the publications' past Captains of the Year. Captain Jason Buck and his team aboard the Viking 56 Done Deal had a fabulous year winning the Orange Beach Billfish Classic, the Cajun Canyons Billfish Classic, the Gulf Coast Triple Crown Championship, The Lone Star Shootout, as well as taking Top Boat categories in the Mobile Big Game Fishing Club, and New Orleans Big Game Fishing Club tournaments. Based in the home port of Houma, Louisiana, Jason will take the helm of the new Done Deal, a Viking 70 Convertible delivering in March. Captain Bill Wieteha skipper aboard the Viking 68 Convertible Blue Time, based in Coral Gables, Florida, also had a winning season taking the Quest for the Crest Sailfish Series, The Blue Water Fishing Classic and the Key West World Championship highlighted with 14 sailfish releases on the final day of the event. To celebrate the debut of the stunning Z68 in America we were proud to host an exclusive VIP party on Saturday the 15th of February. Pushing the event into overdrive was a well-known Miami DJ together with cocktail waiters and exquisite food at the two event bars. Among other VIP guests, Zeelander Z44 owner and super model Adriana Lima and her husband, NBA star Marko Jaric, attended the event which partied on well into the evening. In today's market Cutwater and its parent brand Fluid Systems are a red herring for building small medium sized boats with big appeal. This mean that its 26 to thirty feet Cutwater models are made to feel large to the owner, and the surprise in all this is that they still abide by US trailer boat rules. The Cutwater 30 apart an intelligent accommodation plan of sleeping four berths in two cabins, plus two in the convertible dinette is full of practical features. See extending bench seats, and flip over settee in the aft cockpit. The Cutwater 30 also impresses for other seamanship friendly features, which usually escape to the first time inexperienced buyer, like a not so small fuel tank of 681 liters, and water capacity of 302 liters. The Cutwater 30 is such a good all rounder that if it had also a two engine choice it would steal customers from boats being one meter bigger. Taiwanese manufacturer Dyna Craft has just completed their first D105 super yacht, declaring their ability to produce motor yachts above one hundred feet. The unique design was commissioned with both private and business use throughout East Asia in mind, with the owner choosing Dyna Craft due to their flexibility around semi-customization, to meet his specific requirements. The owner had a specific request for long range capabilities with the D105, to be equipped with three MTU 2600hp engines, capable of achieving 34 knots with a cruising speed of 30 knots. The Naval Architects at Dyna specifically designed the hull to reach these speeds whilst still offering an exceptionally stable ride for the comfort of the passengers, guests and crew. Minor design changes can be made to the hull to also offer optimal performance for fuel efficient long range cruising at 9-13 knots. Emphasis was also placed on the maneuverability of the vessel at speed, with the hull responding well when navigating at high speed. A master stateroom and VIP Cabin complement twin guests cabins, along with crew quarters capable of sleeping four. A fully complemented galley and an enormous saloon flowing to a spacious cockpit round out the living areas, with a large flybridge and open foredeck for exterior entertaining. The exterior of the D105 is styled along the unique designs offered across the entire Dyna range, with sleek, modern and stylish lines. Customisation options continue in the interior with the owner choosing specific finishes and fixtures, all produced with a world class finish. Multiple customization are available for the D105 with owners able to select their own layout, styling and finishes for the accommodation, saloon, flybridge and or sky lounge. Tiara upgrades its fall 2013 new Couple range, first introduced with a 50 model and now to be added up later on this year with a 44. 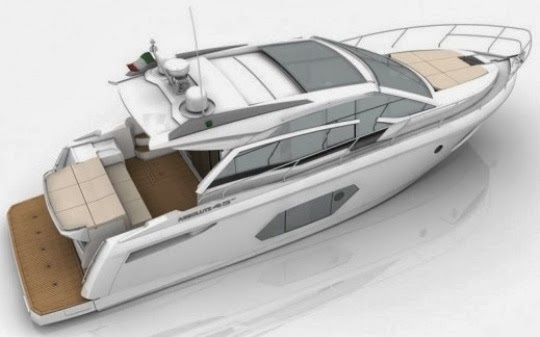 This new project of the Tiara 44 Coupe was announced just before the Miami boat show with some rendering pictures showing up online during the event. Andrew Bartlett for this new smaller Coupe also code named X series in the Tiara design office, followed similar exterior looks of the well received 50. The interior layout also features a similar concept with a living and galley on the main deck, and two cabins both with private heads located below. The main selling point of the 44 Coupe remains its concept of a fully enclosed hard top sports cruiser with patio door aft, and a line which is characterized by mixed traditional and modern elements. Hull one is expected to launch in the end of Spring. Built in China but originally founded in Taiwan, Hampton yachts is an interesting boat builder. 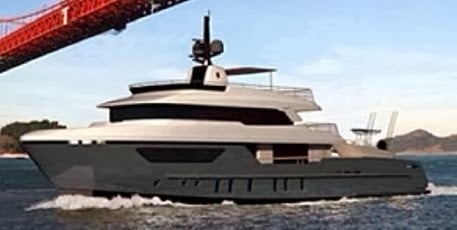 In recent years it introduced the Endurance line an American looking inspired yacht with the help from famous hull architect Howard Apollonio. For this line Apollonio improved on his Split chines design and created the Hampton Hybrid Hull. This underwater shape improves hull speed before the planning hump, also possible thanks to the very central of gravity in the Hampton models. The Hampton 640 Endurance offers a traditional style accommodation layout for this size of yacht with a living on the main deck in a split level area, and three double cabins located below. Owners cabin is a full beam amidships, while the VIP cabin to fore and guest double to port side share a shower head located to starboard. The 640 Endurance also features a sky-lounge option for the lower deck which replaces the inside lower helm station for a larger dinette. Power is twin Cat 705hp engines with line shaft propulsion. A new flagship even if extending length by a foot is always big news for any boat builder. Sunseeker's new 155 Yacht extends the British builder not by a couple of feet but by an important 25 feet in length. But the most important note in this new big girl of the Sunseeker family is that unlike it's smaller sisters it is build of aluminium, features a semi displacement round bilge hull shape, and that customization is take to another level thanks to a modular type build. 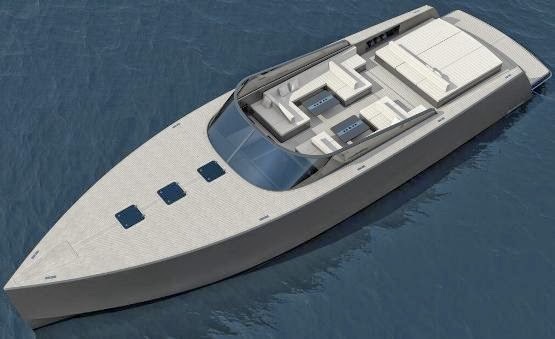 Commissioned by long time Sunseeker fan, Formula One famous Eddie Jordan, he launched a few flagships for them in his past, the new Poole largest build will accommodate twelve guest in three separate cabins in its first hull. Still Sunseeker say that the 155 Yacht incorporates a very modular type build which can make for any possible variations of the 155 Yachts not only the interior layout but also the exteriors, going into each owner personal taste. Power is twin MTU 2940hp which gives a max speeds of 22 knots, and a range of 4000 nautical miles at an economic cruise speed. Full commissioning for 155 Yacht hull one will be carried out in coming Spring. Wider Yachts presents its new World wide web showroom. Wider was founded in 2010 by Tilli Antonelli the ex Pershing Yachts President and founder. Wider is an interesting revolutionary company which brings the 29 years experience from 1981 to 2010 in the Sport Cruiser and Yacht sector Antonelli showed at Pershing. Since its inception Wider showed Antonelli virtue of innovation breaking the mold of current trends. Among the major innovations of Wider are modular settings which expand spaces, and add unique configurations. 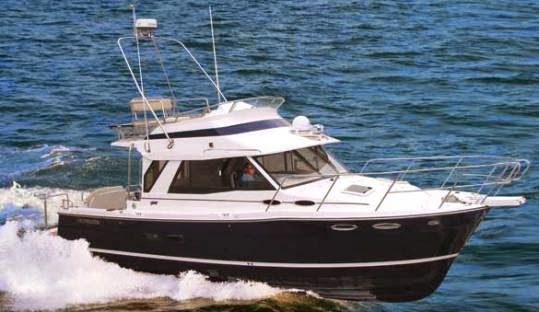 For example the 42, first model of Wider launched in 2011 joins a center console to that of a cruiser, performance stepped hull, and high technology construction. Currently Wider features four models; 32, 42 from the Cockpit range, and 122, and 150 from the Superyacht. Wider new website takes you around with the following buttons: Company, Project, Wider Superyacht, Wider Cockpit, I Want It, and News and Events. Wider also features its social hubs YouTube, and Appstore located at the bottom right of the page. The new Alaska 46 Sedan Gen-III is the latest version of the best seller for this down under boat builder. In this latest Generation Three version the swim platform had been extended and the room and facilities to fish have been greatly enhanced. The new 46 Alaska Sedan Gen III has also the latest davit system, the Freedom Lift which makes launching and retrieving tender easy. The 46 Alaska Sedan presents excellent all of the living and entertaining on one level. The stainless saloon doors open wide along with dual flip-up rear windows to bring the outside in, this open plan is ideal for entertaining and increased livability. Dual side doors in conjunction with two sunroofs have increased natural ventilation and the new cockpit control station makes the tasks of docking easy. Accommodation now boasts a master stateroom with island queen-size berth amidships with its own en-suite offering less movement and water noise, the second cabin forward has twin large V-shaped single bunks and loads of storage with a guest bathroom to port. The Alaska 46 Sedan Gen III is powered by twin Cummins 425 or optional 480hp engines. Christian Grande, an award-winning yacht designer enriches his colloboration with Sacs Marine to launch the Strider 22 the mega-rib concept. The design of a new maxi-rib of distinctive features shows how much trends and tastes are constantly changing. Sacs Marine relied on Christian Grande’s drawing table for years, thus ending up with producing a new-generation rib, endowed with all the peculiarities of this type of vessel, such as un-sinkability, easiness of handling and mooring. 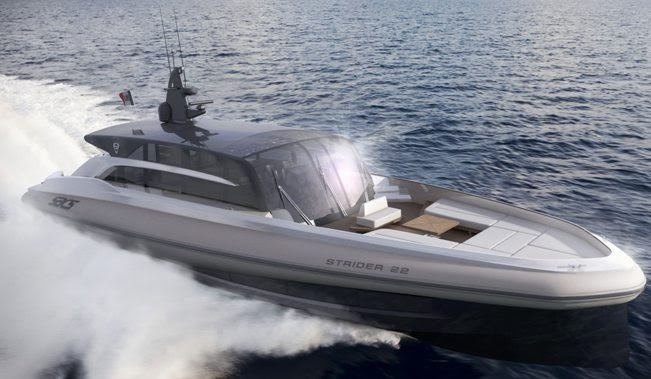 The choices made by the designer for the new Strider 22 were, therefore, the desire to create a yacht with all these qualities and with a clear off limits vocation, evoked by the discovery look combined with tubular style. Its aesthetic features do not stop here: the size, remarkable for this type of boat, is further exploited through smart arrangements and distribution of space, embellished by selected materials and colors. The variable cross-section of the tubular and the reverse bow offer even more space, customization at will in accordance with the requirements of the owner. The bow area is well equipped, spacious and comfortable, with generous cushions that follow the outline, a central area with retractable sofas and table that can be covered with a retractable quadrangular awning. The accuracy of the design can be also deduced from two stern details such as the swimming platform and the stairs. The first can be sunk, while the latter can be lifted in order to give access to the hangar, in which the tender can be hauled by a specially designed servo platform. The total transparency of the upper deck is sought and obtained, below, through a clever structural design that made it possible to place a long window along the hull, a chisel-mark that characterizes and defines the hull itself, a molding which at the same time relieves and visually reinforces the whole. The design approach taken by Christian Grande gives the exterior strong aesthetic connotations, which are consistent and sinuous, but do not “betray” the typical style always evolving of the Parma-based designer; the whole is enriched by elusive lines, aggressive and zoomorphic shapes, just like the structural stringers that cut in half the glass top, making it visually more slender, or the side volumes that allocate the side air-intakes, a clear reference to feral muscles waiting to pounce on a prey, a further demonstration of the-closeness to nature of Christian Grande’s work, and to rather merge with it rather than stand out with shape and colors. It's a new day for Princess who finally launch the first S72, a move into a new line of sport yachts, the S range. This new S range signifies Princess entry into the hybrid sport bridge sector, but also sees the British builder in less conservative looks that to what it has made us used to. For those that do not know minus the flybridge the S72 is based on the V72 model, with the interior offering the same triple cabin layout, and galley down, living on the main deck format. Still Princess apart adding the sport bridge decided to update the looks of the super structure of the V sister model in the S72. The flybridge or as is usually called in these kind of yachts the sport bridge is a nice offer, with access to it via a stainless steel stair case to starboard, this also offers interesting spaces with a C-shaped dinette to aft, helm station with two separate seats, guest C-shaped settee to starboard, and a wet bar. Broom Boats from the UK set up its new World wide web virtual showroom. Well known as the pure British Aft Cabin Cruisers, Broom was founded in 1898 by Charles J. Broom, who started up by building individual sailing boats on the Norfolk Broads, which by 1912 was moved into a full business operation of hire and sell. In early 1920's Broom was among the first companies to build an internal combustion engine boat, which in the thirties followed the previous sailing boats pattern into entering the hiring business. 1939 as history says was the advent of World War II with many pleasure orientated boat yards closing down its doors, but this was an opportunity for Broom which was one of the few selected by the British Navy to build Harbor Launches, Lifeboats, and Fast Tenders. These contracts led Broom to build boats in a production environment. The mid sixties brought fiberglass in the UK, and while many on the Broads where skeptic about this new material Martin Broom formed a company with four other partners named Aquafiber Ltd, which he acquired full interest in 1971. Among the first models built with fiberglass for the company was the Broom 30. Today Broom after a couple difficult years is set to look into the future, thanks to new shareholder input in 2009 and also with with the acquiring of GH Fabrications specialized in various stainless steel items for the pleasure boat industry, and second with the appointment of Graham Warren of 500 Design as designer. Graham was previously with Fairline for the previous 23 years. The current Broom range features six models which start with a 30 Coupe, and end with a 455 flagship. Brooms new web showroom takes you around with the following buttons; Home, About Us, Range, Customization, News and Events, Pre-Owned, and Find a Dealer. Broom also features its social media pages; Twitter and Facebook with a link at the bottom of the page. So what’s new at one of the Greatest Boat Shows in the World? 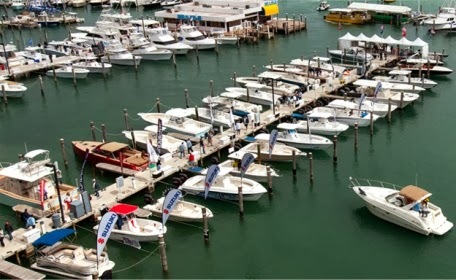 Florida's largest annual event spans three locations; Miami Beach Convention Center, New Yacht and Power Boat Show at Sea Isle Marina, and Strictly Sail at Miamarina at Bayside, all this featuring more than three thousand boats and two thousand exhibitors from all over the globe. There’s no better place to preview the new boating season! You name it you’ll see it here, from the latest in powerboats, sailboats and engines to cutting-edge marine electronics and accessories to the best in nautical gifts, services and apparel. And there’s no better time to buy! The five day Miami boat show starts Thursday 13th, and ends Monday 17th. This Miami show is a once-a-year chance to compare makes and models, and gear up with the latest accessories. Beyond the boats and booths special events, attractions and activities celebrate the boating lifestyle and offer entertainment for everyone. Some of the first showers at Miami will be the following; Back Cove 41, Sabre 54 Saloon Sedan, and Sea Ray's new 650 Fly flagship. One of the most appealing features of the Wider 150 super yacht currently in build is its capacity to house a 32 tender in the aft garage. The wet launching system designed to launch the tender allows the lazarette to transform into a luxury pool/spa area surrounded by a Wider beach. Tilli Antonelli and his design team have invested thousands of hours into the design and development of this vessel, keen to ensure that it is practical for use as a tender but also reflects Wider’s philosophy of innovation and initiative. 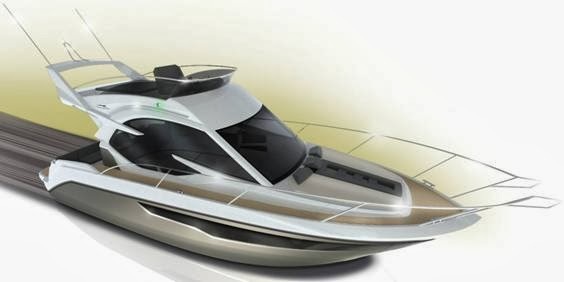 The result is the new Wider 32, perfect for use as a super yacht tender or as a small sports cruiser. As you would expect from Wider, the 32 is easily distinguishable from other sports cruiser yachts. The dominant axe bow and low transom give the impression that it is leaping out of the water, eager to slice through the waves. Her slim ten feet less beam tapers only slightly towards the bow, giving maximum floor space for sunbathing and to facilitate stepping on board from a mother ship. This is a yacht that is perfect for use as a tender but can also be enjoyed as a standalone sports cruiser, fully equipped with an enclosed dinette area with two convertible sofas, galley equipment, and a separate head. The Wider 32 will be powered by twin Mercruiser 260hp engines, connected to Bravo stern drives to deliver a top speed of 37 knots and a cruising speed of 32 knots. Work on the molds of the Wider 32 is already under way. Assembly will be starting in March with a view to finishing the first unit towards the end of May. It was a nice surprise what happened in the London boat show, and how British boat builder Fairline made a move ahead with an interesting new concept sport boat, the Esprit. For those who know Fairline which I am sure there is a lot of you here, they know that the builder has always been conservative with a modern approach in building and designing its models. 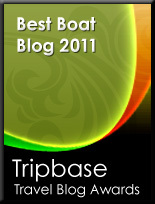 A formula which has worked well for the British boat builder in its forty years or so of it's history. The Esprit concept changes all this and sees Fairline take the forward seat in material testing in both construction and fitting out, an innovative console, and a new design approach that of a sports boat style cruiser. This last bit was the biggest surprise since Fairline has never ventured into this territory and its Sport Cruisers have always been a family friendly affair with nice accommodation layout below. It will be interesting to see if the Esprit will be produced and how clients will react to this. Concept boats are not very much if any in the making in the boating industry, and it was nice to see a boat builder in this case Fairline venture into this. Is also interesting, more so then when one thinks that Fairline is at the moment, the smallest of the big three United Kingdom builders, delivering about one hundreds boat per year. Nonetheless Fairline was pro-active and did what few builders do, going with a concept boat from a clean sheet. Would be nice to see other builders venture more into this in the future.